A Dungannon councillor has pledged she is “more determined than ever” to continue working in politics after she was informed a death threat had been made against her. SDLP representative on the new Mid Ulster super council, Denise Mullen, was caught up in an online storm of abuse after she made comments welcoming the council’s decision not to fly any flags on its buildings. Meanwhile, police have confirmed they are investigating after a complaint regarding posts made on a Facebook page was made to them yesterday, Wednesday. Ulster Unionist MLAs, Sandra Overend, and Tom Elliott, criticised Cllr Mullen via social networks last week, with Mr Elliott accusing the SDLP woman of “anti-British bigotry”. In a worrying development this morning, Cllr Mullen has been advised by police about her personal safety after a threat was made against her life. The Dungannon representative said she was “distraught” at the news and “extremely disappointed” at a Facebook page which contains particularly nasty and vile threats against her. Cllr Mullen, whose father Denis, was shot dead by loyalists at the door of his home outside Moy in the 1970s, continued: “This is not the first time I have been targeted. My family knows too well the pain that can be inflicted by those who seek to intimidate or commit violence to further their political objectives. We have not cowed down before and we will not cow down now. 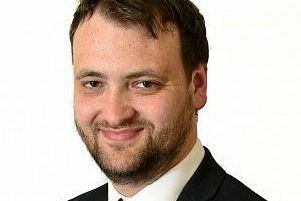 “I was, however, extremely disappointed to see Mid Ulster DUP Councillor James Shiels had ‘liked’ a Facebook post containing an array of insults and threats directed at me. We have some distinct differences but these are issues which should be beyond politicking. Efforts have been made to contact Cllr James Shiels to answer the claim made by Cllr Mullen in relation to this developing story, however, those have proved unsuccessful.